Tim Speight sadly passed away on Wednesday 25th January. Tim was, up until recently secretary of the Notts Hockey Development Group and a member of the Nottinghamshire Hockey Association executive. He was also a great supporter of Beeston Hockey Club and his daughter Abi is a member of the ladies 1st team squad. Details about the funeral will be posted once they are known. If anyone would like to send cards to the family please hand them in at Beeston HC and they can arrange for them to be sent on to the family. Our thoughts and wishes are with Tim’s family and friends at this sad time. North Notts HC are seeking a coach for our Ladies 1st team, starting in September 2016. Playing in Midlands Division 1, we are looking for a qualified coach, ideally with minimum Level 2 qualifications. Training on Wednesday’s 7.30-9.30pm, the coach would be expected to attend all training sessions and Saturday league games, home and away. We are a friendly team, seeking a coach who can support and challenge established players, as well as develop and encourage junior players. 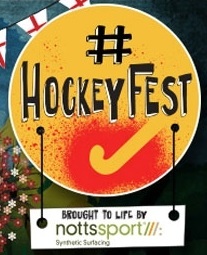 North Notts HC consists of five men’s teams and four ladies’ teams, with players of all ages and levels of experience. We are based at The Manor Sport and Recreation Centre in Mansfield Woodhouse, Mansfield. If you think you could fulfil this role or would like further information please don’t hesitate to get in touch. Boots Hockey Club (based in Nottingham) is looking to appoint a number of coaches into both our men’s and ladies sections. 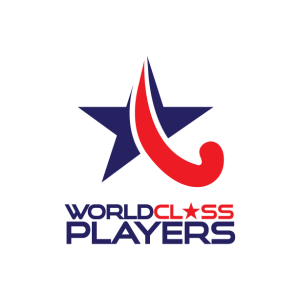 We are one of the fastest growing clubs in the Midlands, now boasting seven men’s and six ladies’ teams, as well as a thriving junior section, and was shortlisted for England Hockey’s Club of the Year 2015 and Team of the Year (Men’s 1st XI) in 2016. With a head coach in place already for the ladies section, we are looking for an experienced head coach to work with the Men’s 1XI as well as experienced club coaches to work alongside both our head coaches; with responsibility for areas of both the Men’s and Ladies section. Whilst we would prefer a single appointment for the club coaching roles, we will also consider separate applications for either of the two elements of the role. The Men’s 1XI require an experienced coach to work with our ambitious and improving squad. Promoted from East Midlands Premier Division into Midlands Div 2 last season, we are looking for a similarly ambitious coach with experience of coaching at a regional level and with the desire to help drive the team forwards. You should be able to commit to travel with the 1XI on match days and to lead Men’s 1XI – 3XI training (with support from club coaches) on Tuesday evenings as well as providing support to the Men’s 1XI Captain in player selection decisions and ensuring that younger players showing promise are promoted into squads that will best realise that potential. A level 2 qualification is a minimum requirement for this role, and the club will support successful candidates should they wish to progress to higher qualifications. We are also seeking coaching support for our Men’s 2nd – 7th XI sessions on Monday & Tuesday evenings to work alongside the head coach. You will mainly be providing support to the Men’s 1XI Head Coach as well as delivering sessions to the 2nd and 3rd XI (East Midlands Premier and Midlands Division 1) on Tuesday evenings to help drive their respective bids for promotion and organising mixed ability coaching sessions on Monday evenings for 4 XI – 7XI squads. You will also help to promote the progression of promising players through the teams, in particular younger players who are progressing from our junior academy and support the 2XI on Saturday afternoon matches where possible. We are seeking coaching support for our Ladies 4th – 6th XI sessions on Thursday evenings to work alongside the head coaches. You will design and lead dynamic training sessions, supporting on Saturday afternoon matches where possible. A Level 2 qualification is highly desired for both club coaching roles, and the club will support successful candidates should they wish to progress to higher qualifications. The successful candidate(s) will be hired on a fixed-term consultancy basis at rates to be negotiated based on qualifications, experience and level of commitment. They will not be employed by the club and should make their own arrangements for tax and National Insurance. This is an ideal opportunity to assist in the county squads tournament organisation and administration. Initially, the role will include informing potential players of trials and coaching sessions and inviting potentially suitable players along. Then, as well as liaising with Tournament Directors and Tournament Officials you will also be required to attend tournament meetings, pass on relevant rules and regulations info to coach and players, assist in pitch side paperwork and ensure (as far as practical) player eligibility. Depending on experience, the manager may also have some input into the squad selection process. Please respond, to the Nottinghamshire Hockey Association secretary, Gareth Parr via email – gareth@nottshockey.org.uk by 27th March 2015. Interviews, if necessary, will take place in early April 2015. Any prospective coach should be at least EH Level 2 qualified. As well as coaching the squad through he County Championships competition, any prospective candidate will also be expected to deliver a number of trials and final squad coaching sessions. Please respond, stating which position you are interested in, to the Nottinghamshire Hockey Association secretary, Gareth Parr via email – gareth@nottshockey.org.uk by 31st December 2014 with a brief copy of your hockey/coaching CV. Interviews, if necessary, will take place during January 2015. If you are interested in the position, please make contact via the Contact Us form and we’ll put you in touch with the Club. Places are booked through event bright on the link below. To support those recruiting and managing volunteers.